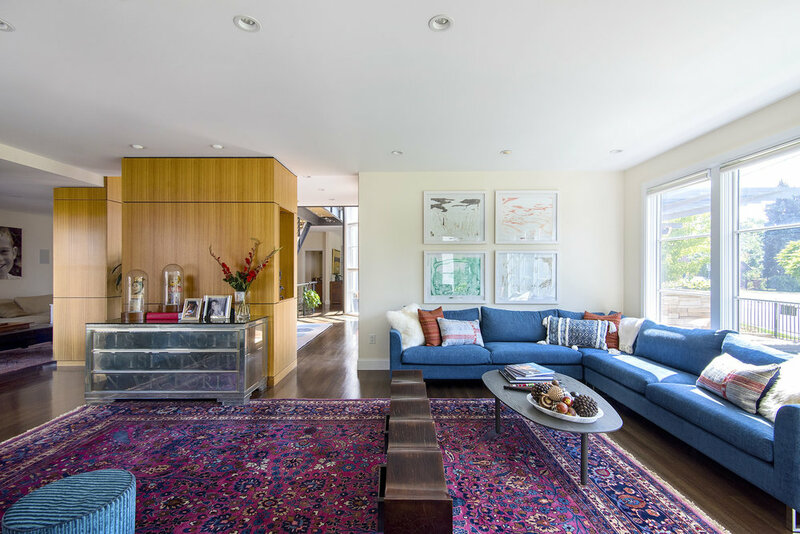 we created intimacy and continuity in this sunny, expansive living room by bringing in a grand, persian carpet generous enough to unite the room and also to serve as artwork on the floor. we added spacious sectional sofas at opposite corners that mirror each other, defining and clarifying the space. the sofas were joined by rounded, organic-shaped, low tables and accessory seating in the form of the undulating wooden wave bench and the deep teal ottomans.